New Harbinger Publications, 9781626252523, 336pp. Based in popular mindfulness practices, this book will show you how to slow down and be present during mealtime so that you end up making healthier choices. 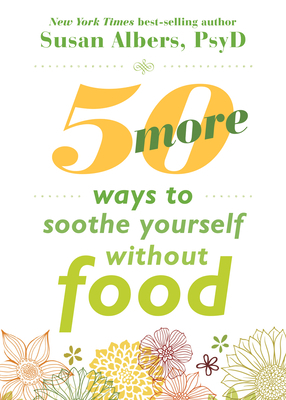 In addition, the activities in the book--such as yoga, aromatherapy, and breathing exercises--will help you gain a greater overall sense of well-being and appreciation for your body. Susan Albers, PsyD, is a psychologist at the Cleveland Clinic who specializes in eating issues, weight loss, body image concerns, and mindfulness. Albers conducts mindful eating workshops across the country, and is a frequent keynote speaker. She is author of seven mindful eating books, including the New York Times bestseller Eat Q; 50 Ways to Soothe Yourself Without Food; But I Deserve This Chocolate! ; Eating Mindfully; Eat, Drink, andBe Mindful; and Mindful Eating 101. Her work has been featured in O, Family Circle, Shape, Prevention, Self, Health, Fitness, Vanity Fair, Natural Health, and The Wall Street Journal. She has been a guest on The Dr. Oz Show, and is also a contributor to TheHuffington Post and Psychology Today.Get inspired to start eating more mindfully today! For a free download of the 20 best motivational quotes, visit http: //www.eatingmindfully.com/motivation.